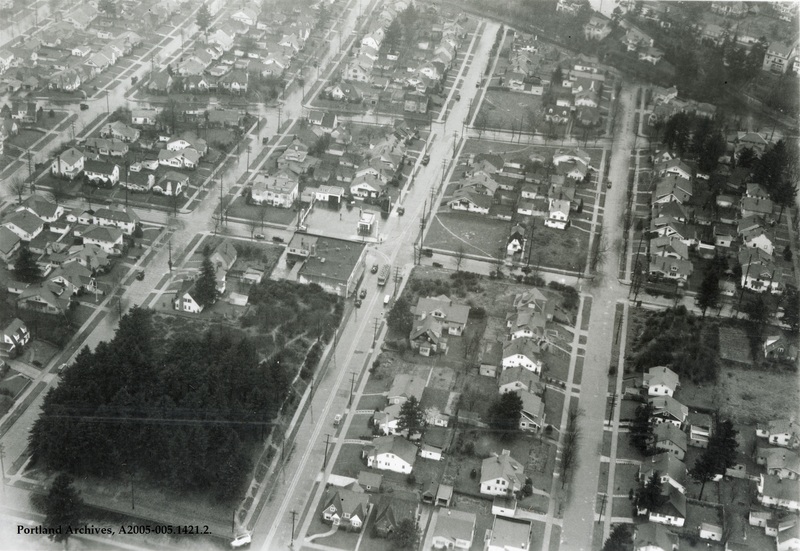 Aerial of NE 24th Avenue and NE Fremont Street, 1935. City of Portland (OR) Archives, A2005-005.1421.2. 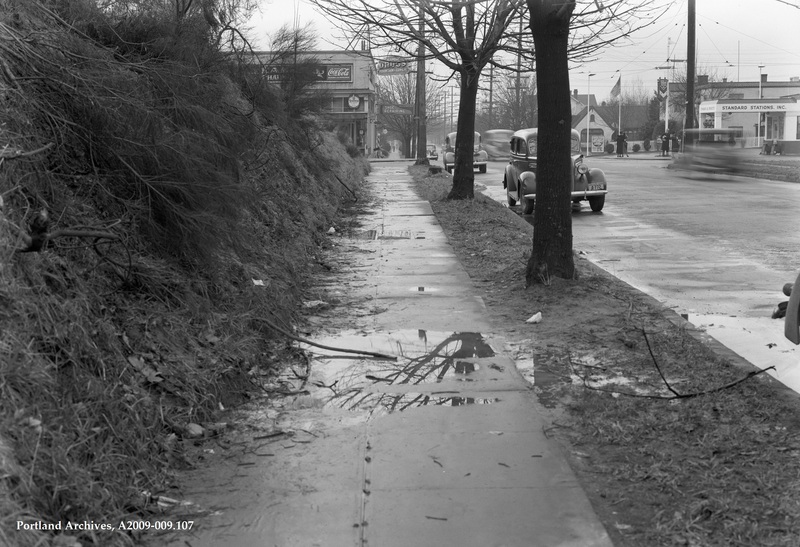 NE Fremont Street between NE 24th Avenue and NE 25th Avenue, 1938. City of Portland (OR) Archive, A2009-009.107. 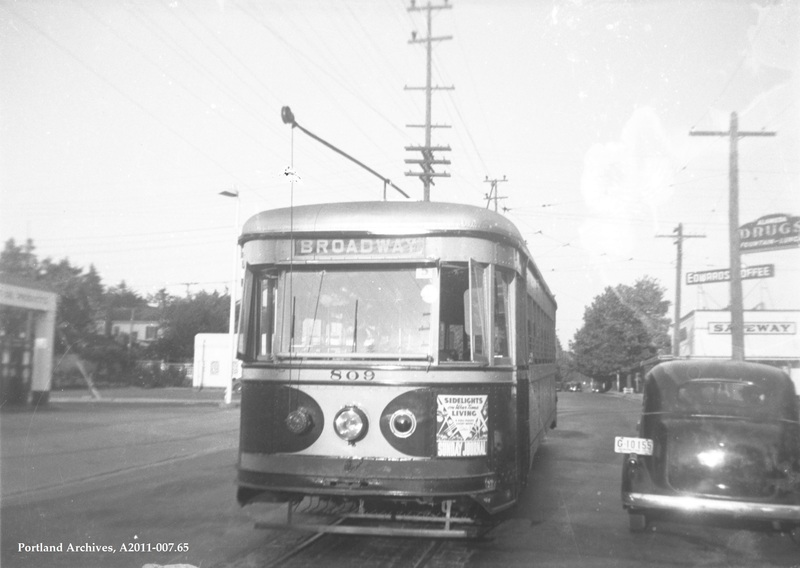 Posted in 1930s, 24th Avenue, 25th Avenue, Alameda, Fremont Street, Northeast	Tagged Alameda Drugstore, Alameda Shoe Repairing, Oregon, Portland, Standards Station Inc.
Broadway line streetcar 809 at NE 24th Avenue and NE Fremont Street, 1940. City of Portland (OR) Archives, A2011-007.65. 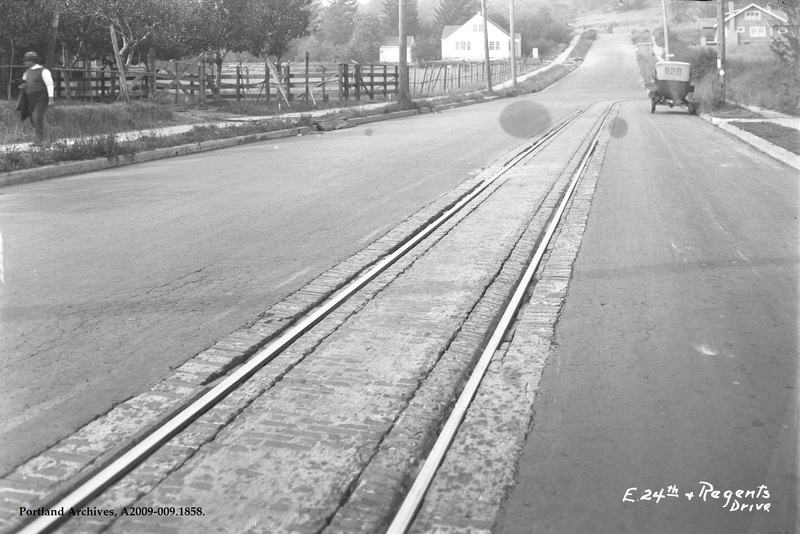 NE 24th Avenue and NE Regents Drive, 1921. City of Portland (OR) Archives, A2009-009.1858.